Research shows that nearly 60% of youth athletes experience significant trauma and injury, 75% of junior high and senior high school athletes lack the proper muscular strength and conditioning required to participate in athletics without experiencing repetitive use and/or acute injury. Often, these injuries effect muscle and joint development, leading to early degenerative conditions. Additionally, nearly 90% of athletes have diets deficient in protein, carbohydrates, and minerals necessary for anabolic development and growth. These student athletes burn more calories than they replenish, resulting in mild to moderate ‘sarcopenia’ (muscle loss) and joint dysfunction. 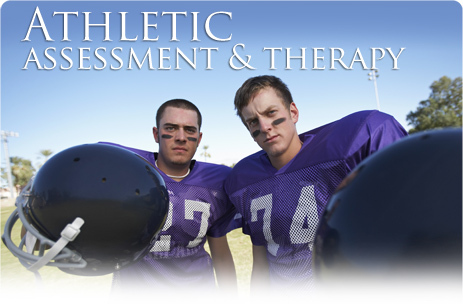 The doctors of Heritage Integrative Healthcare are trained to recognize, evaluate, and recommend the course of care necessary for your developing student athlete. Did you know, over 75% of pediatric sports injuries are avoidable? We provide the knowledge and resources necessary to ensure your child exercises and trains properly for their competitive endeavors.